This morning at approximately 5:30 am, the Wine Country Station, just off Hwy 50 in Camino was robbed at gunpoint. The suspect brandished a handgun while committing the robbery. An alert witness outside the store observed the suspect fleeing the area in a vehicle, and the witness provided excellent information for responding Deputies. This information lead to the discovery of the unoccupied suspect vehicle crashed at the intersection of Broadway and Smith Flat Road, just East of Placerville. 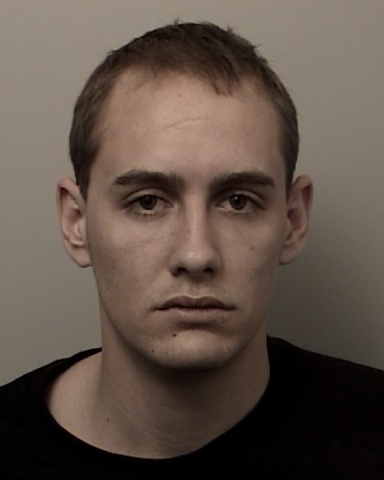 An extensive search of the area for the suspect was immediately conducted by Deputies, Placerville Police, and the California Highway Patrol Officers. Affected schools in the area of Schnell School were searched for the suspect and deemed safe by law enforcement. As search teams were leaving the schools, the suspect was observed walking through the parking lot of the Dollar Store on upper Broadway, in the City of Placerville. Several Deputies contacted the suspect and detained him. A handgun was found on the suspect, and the vehicle he was seen driving in was stolen out of Carson City, Nevada. The suspect was identified as 22 year old Aaron Donald Friesen, a resident of Carson City, Nevada. A records check of Friesen revealed he had a felony warrant out of Carson City, Nevada for domestic violence, and was considered armed and dangerous.